I know, roasted broccoli isn’t the most exciting, but it was DELICIOUS. I can’t stand boiled, stirfried or steamed broccoli, but I practically ate all of this. 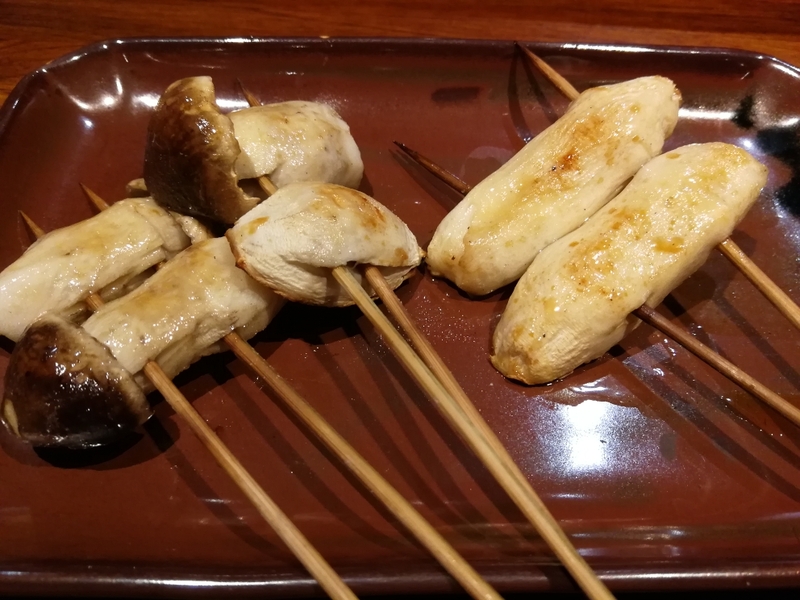 Yakitori is my favorite, but after Torikin, its been pretty hard enjoying the sub- par joints. 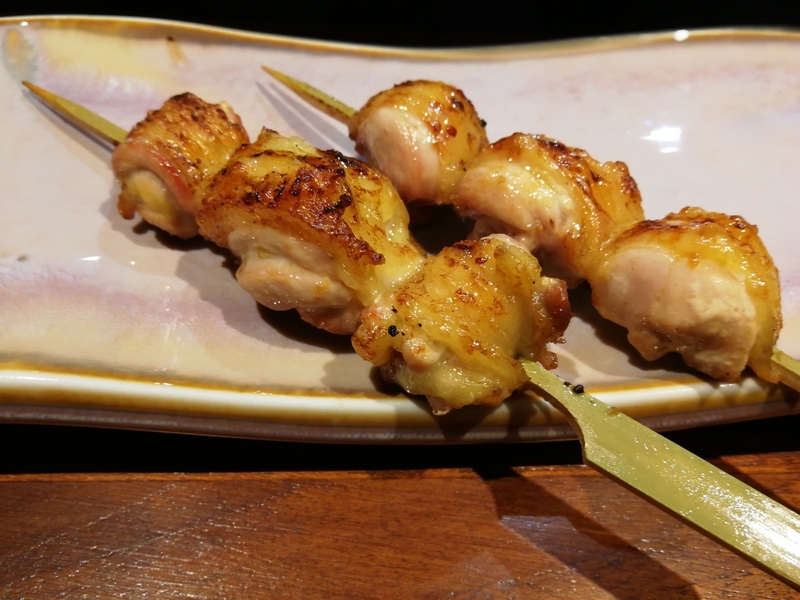 Well, until I found Bird RYU- a small Yakitori joint in Century Link Mall. A bit of a coincidence that both places are on line 2 subway right? 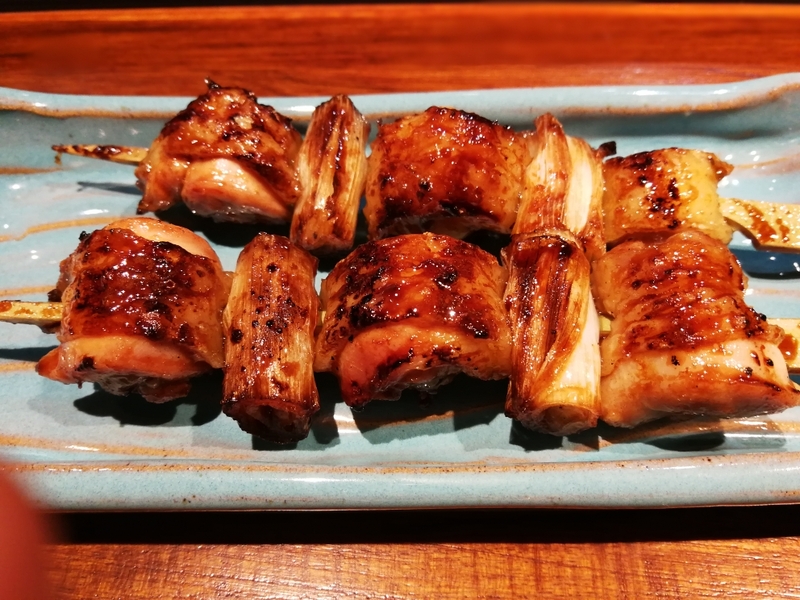 Yakitori is usually a blanket term for Japanese charcoal grilling, but Bird RYU takes a more literal approach to “grilled Chicken”. 90% of the meat items on the limited menu are chicken. Chicken should be easy right? Not exactly. 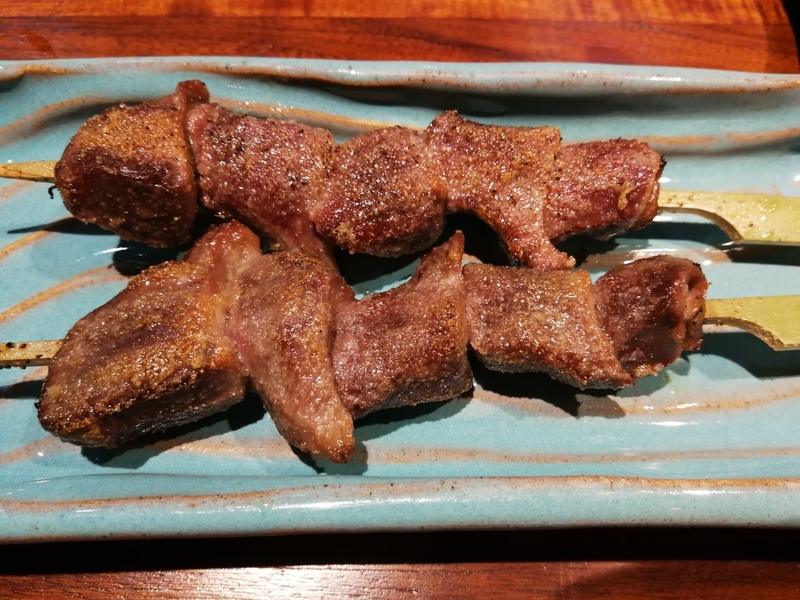 Bird RYU is absolutely adamant about the freshness and quality, so items are often in short supply or not even on the menu. While annoying, this reassured me that I made a good choice. Plus, it was cool trying to figure out the “secret menu.” Let’s eat! Grilled Chicken Thigh meat- Thigh meat is pretty hard to screw up, but Bird RYU took this deceptively easy cut to another level. The skin was perfectly rendered and crispy, cutting any unpleasant greasiness. More impressively, each bite literally came with a mini burst of juice. Not grease- pure, umami juice. Grilled Chicken WIngs- The chicken wings were delicious- think perfectly juicy meat and crispy skin. With that said, they weren’t anything too special. What did stand out, however, was the way the chef meticulously deboned the wing and actually bothered to give us the bone. Finally, someone appreciates the deliciousness of the crispy cartilage at the ends! 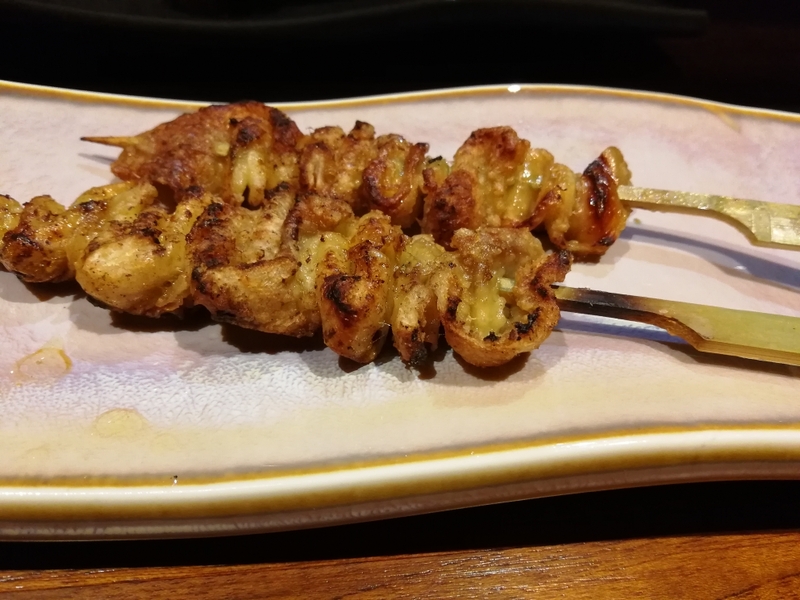 Grilled Chicken Gizzard- Gizzards are another one of my favorites and Bird RYU takes a unique and VERY delicious take on this classic. They were crusted in a spice rub and grilled such that they had a very unique, snappy and very delicious texture I’d never tasted before. 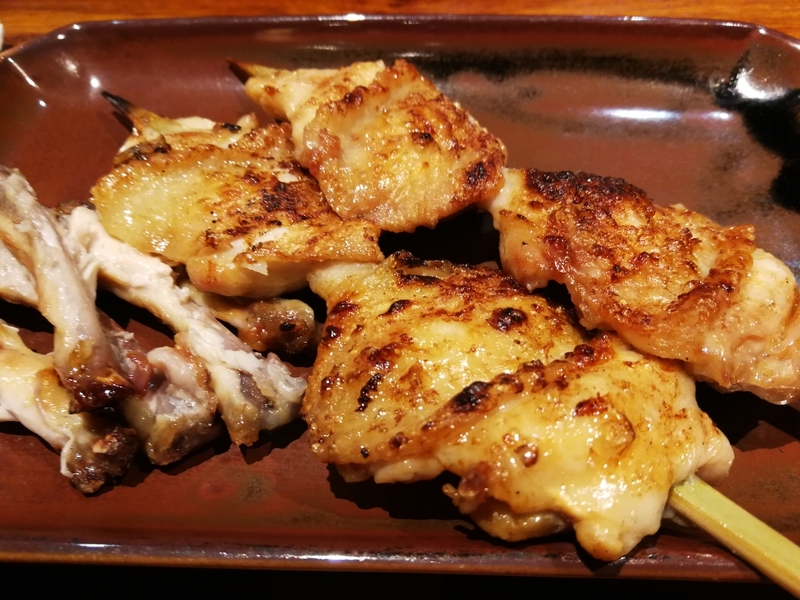 Grilled Chicken Skin- The skin is a classic must order at any yakitori place. Bird RYU did a great job. 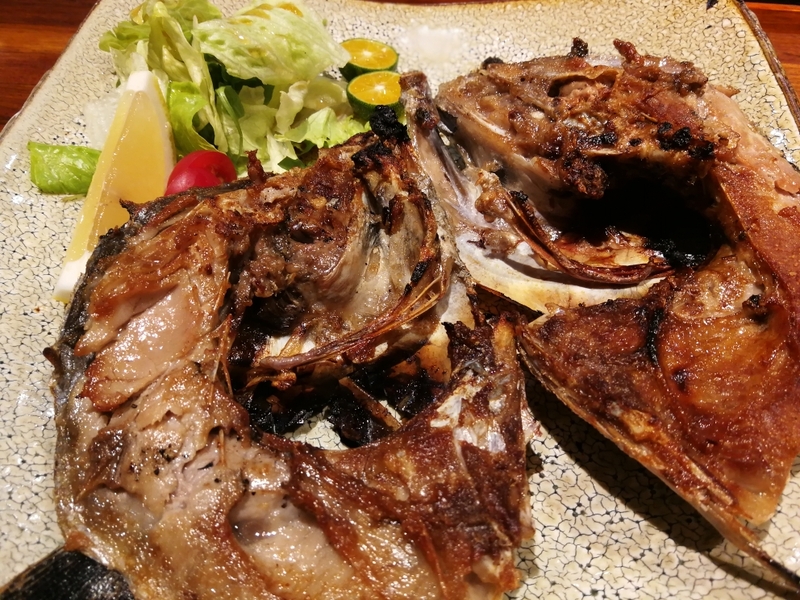 The skin was quite crispy and extremely well seasoned (even a bit of white pepper to spice things up), but I must say, Torikin’s was better. While crispy, it was a bit thick for my liking. Tokyo Style Chicken with Scallion- Normally, I wouldn’t order this, but I thought my dad needed something, so I took a chance. I began to regret my choice when I saw them applying sauce. However, this disappointment melted at the first bite. Needless to say, the chicken was grilled perfectly and the scallion had the perfect char to balance the richness of the chicken. The most impressive aspect was the sauce. Rather than the sticky, overly sweet sauce I hate, this sauce was more soy sauce based and added an incredible umami with its touch of sweetness. Immature Chicken Eggs- Yep, that’s right, immature chicken eggs. I’d had them in my soups before, but never grilled. Needless to say, I was excited to try. How were they? Amazing. The eggs were grilled soft and dipped in that delicious sauce. 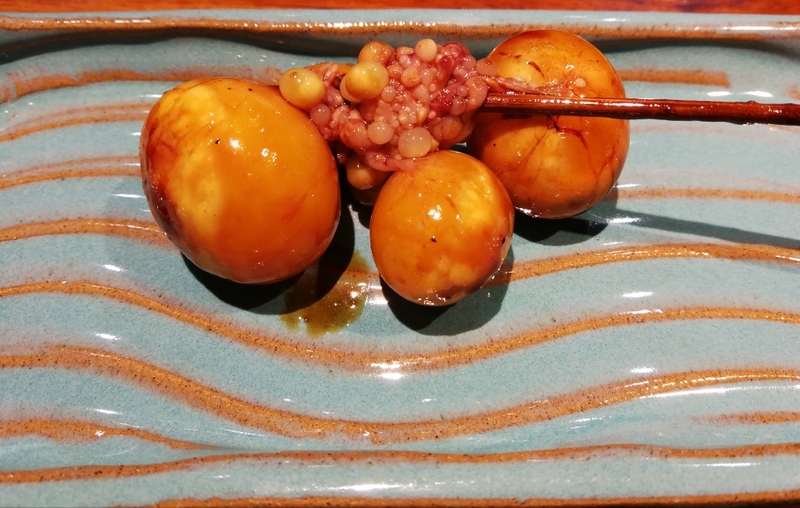 Each bite came with a delicious pop, after which the rich yolk mixed with the salty umami of the sauce for one of the most satisfying bites I’ve ever had. 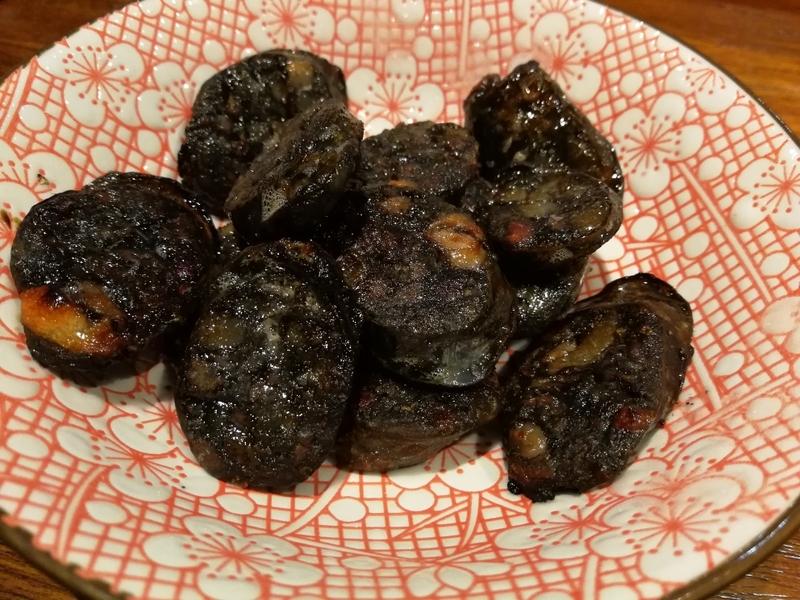 Squid Ink Sausage- I love grilled sausage. Add an unusual ingredients in, and it’s going into my stomach. The expectations were through the roof and Bird RYU exceeded all expectations. The sausage itself had a deliciously spiced, slightly sweet flavour that cut through the richness of the fatty meat. Even better, the pieces were slightly charred and crispy around the edges which gave an unbeatable texture. However, I did find the meat a bit dry, but the tradeoff was more than worth it. 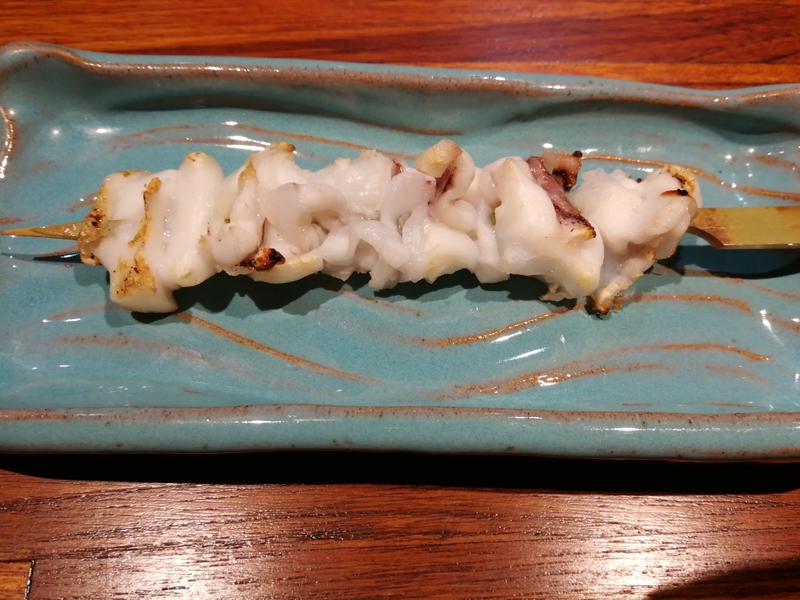 Grilled Matsutake- Matsutake is generally considered a luxury item, but at Bird RYU, they’re grilling deliciously fresh Matsutake for 12RMB a skewer. Matsutake for 12 RMB? Give me 5! Note: The quality of the food is exceptional, but I must say I was disappointed by the lack of variety. Particularly, I was looking forward to some chicken cartilage and pork neck. Also, I was quite annoyed that some of the items- their famous chicken liver and the egg yolks- were reserved for the “set menu”. Luckily, there weren’t many people, so we got the order in..
Century Link mall is a bustling mall, which usually means the atmosphere takes a hit. 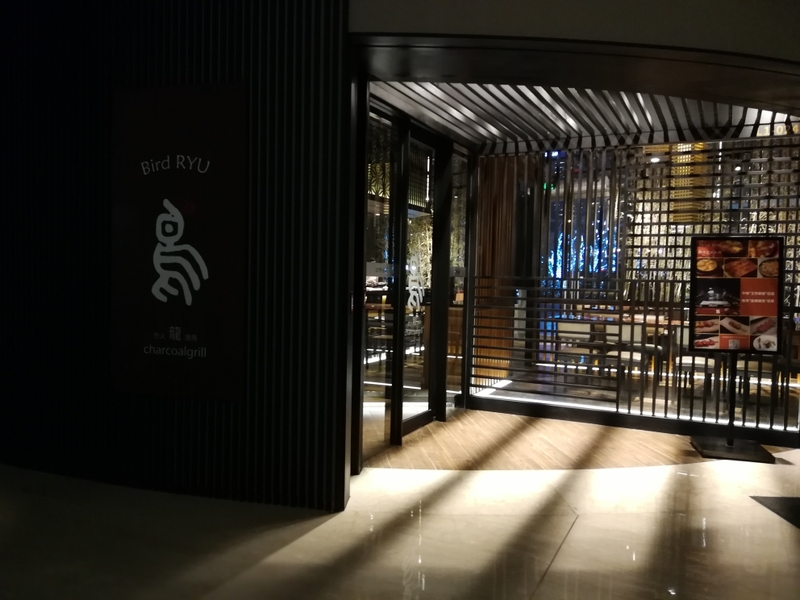 However, Bird RYU isn’t in the mall itself, but in a transition office- building entrance between the two main sections, which created a very quiet, upscale, almost hole in the wall feeling. Most of the seating is bar style with a front and center view of the grilling. For more intimate gatherings, there are booths and two “private rooms”, making it perfect for pretty much any meeting. The decour also enhanced the feeling of traditional Japanese elegance, which really enhanced the experience. With that said, this is definitely not the best place for kids. There wasn’t a service fee, but I would easily have shelled 20-25%. The wait staff was more than courteous and attentive. They didn’t just seat us, keep our tea filled and switch our plates in a timely manner; they placed our napkins on our laps, asked about each dish AND allowed us to order items exclusive to the set menu. The service here was as good as, if not better than, that of Tang Court- a three starred restaurant! 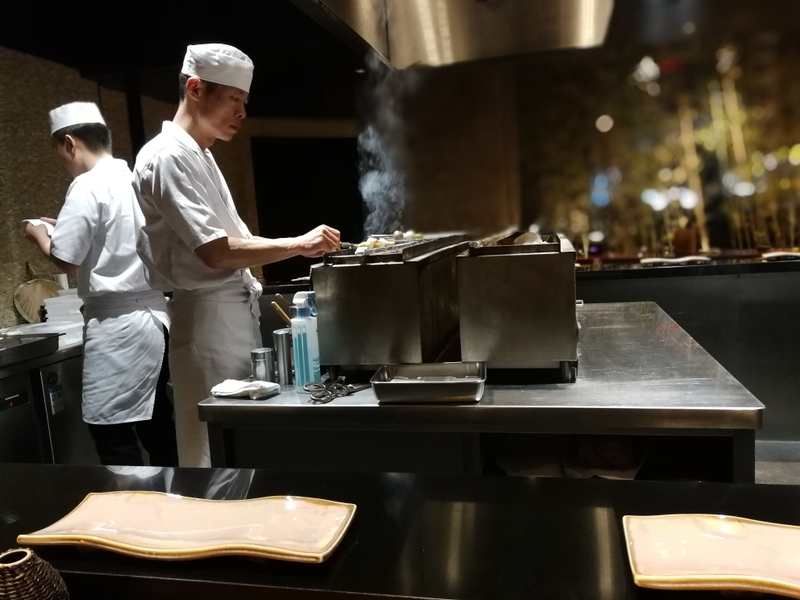 I was very impressed with Bird RYU and will definitely be going back! I hope everyone’s had a great week. I’ll be back next week with another food adventure. Until then, Bye! Sounds like a great place. And I love chicken gizzards. I’d have to try those.